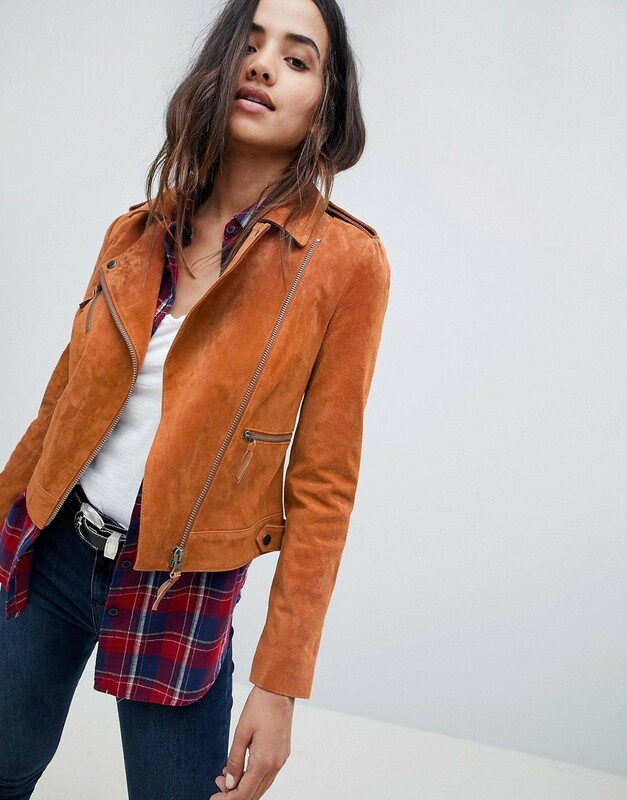 If you're all about feeling relaxed when it comes to figuring out an outfit, this combination of an ASOS DESIGN asos suede biker jacket and navy ripped skinny jeans is right what you need. You could perhaps get a little creative in the footwear department and dress up your look with black leather platform loafers. This pairing of an ASOS DESIGN asos suede biker jacket and black skinny jeans is very easy to throw together and so comfortable to wear as well! Wearing a pair of brown leather lace-up ankle boots is an easy way to add some flair to your outfit. We all seek comfort when it comes to dressing up, and this combination of an ASOS DESIGN asos suede biker jacket and blue ripped jeans is a good illustration of that. 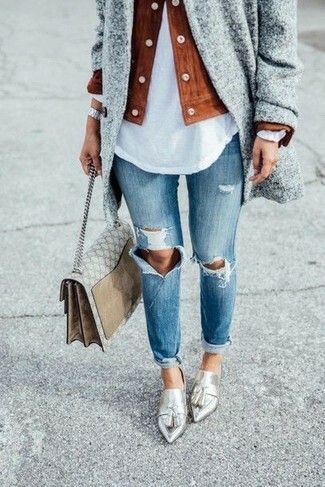 Throw in a pair of silver leather tassel loafers to take things up a notch. If you're searching for a casual yet absolutely chic outfit, choose an ASOS DESIGN asos suede biker jacket and blue skinny jeans. Both items are totally comfy and will look fabulous paired together.